I wanted to draw attention here to a new book I have written. It is a biography entitled “Osama bin Laden” and will be published by Oxford University Press on 15 February 2011. 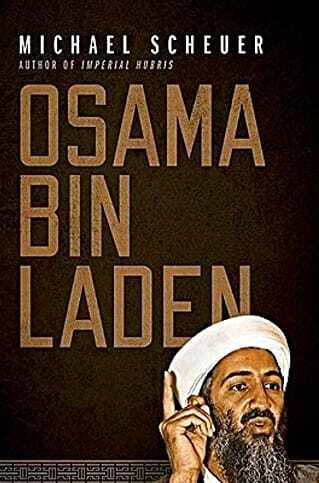 My intention in this book is to provide readers with a biography of Osama bin Laden based on what he himself has said and written; a book that is not dependent on what others have said about him. I have compiled an archive of over 160 documents, totaling about 800 pages of material. These documents can be classed as primary sources; they are interviews with and speeches, statements, sermons, and essays by bin Laden. In exploiting this material, I have tried to track the development of bin Laden as a person, as well as to analyze the development of his intellect; religious beliefs (and those who influence them); strategic, tactical, and media-related talents; leadership skills in the military, media, and political realms; and, most especially, the consistency — or lack thereof — of his words and deeds. I also have tried to show that bin Laden is hardly a ten-foot tall enemy. Rather, he is a man who has made many serious mistakes over the course of his life — more than a few of which ought to have cost him his life — but one who learned from those errors and repeatedly and unexpectedly survived to fight harder and more effectively another day. At day’s end, the book is meant to provide readers with what the U.S. and most other Western governments have knowingly failed to provide for their citizens — the facts as they are presented in the primary sources pertaining to bin Laden. It is my goal to create a situation in which there is an easily accessible book that factually confronts the misleading concept pushed by the media, academics, and U.S. political leaders in both parties that the United States is being attacked because of how Americans think, vote, and live, rather than for what the U.S. government does in the Muslim world. Whether or not Washington’s policies and actions in the Muslim world are in the national interests of the United States, and therefore should be maintained, is a question that must be decided by each U.S. citizen. But in making that decision — on which hinges the question of whether we are to fight a decades-long war with Islamists abroad and domestically — U.S. citizens ought to have access to the documents that accurately portray the Islamists’ motivation through the words and deeds of the man who is the main inspirer and most important symbol of the now-ongoing defensive jihad against the United States and its allies. I hope it is needless to say that I look forward to comments — negative as well as positive — from readers of this site who have the inclination and opportunity to have a look through “Osama bin Laden” when it comes out. For media inquiries please contact: Susan Fensten at Oxford University Press. Next Next post: Why is a dead Islamist bomber smarter than three U.S. presidents?